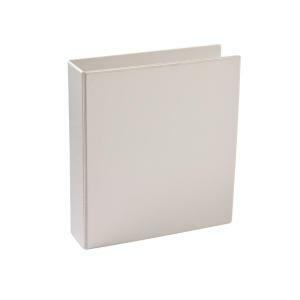 The Winc Earth A4 Insert Binder 4 D Ring 50mm White is constructed from 100% recycled board, recycled metal and recyclable polypropylene, making it the eco-conscious option for your filing. Ideal for presentations and conferences, with a pocket on the front and spine to insert your own cover sheet or label to customise your binder. Additional feature of a pocket on the inside front and back covers, which are oversized to accommodate sheet protectors and dividers.